No act of kindness, no matter how small, is ever wasted. See the link below for more info. Wow. entire hand stitched? Must be very time consuming. How long you take to finish the top? Hand stitching is really peaceful, and quicker than you'd think. 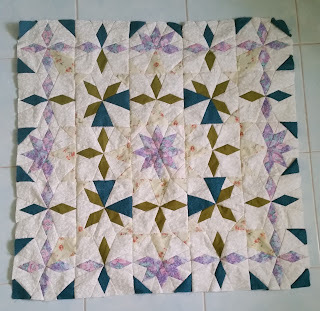 I think it was about a month and half to finish the quilt top.